Warlock Wednesday’s Episode 82 … Y2J!! 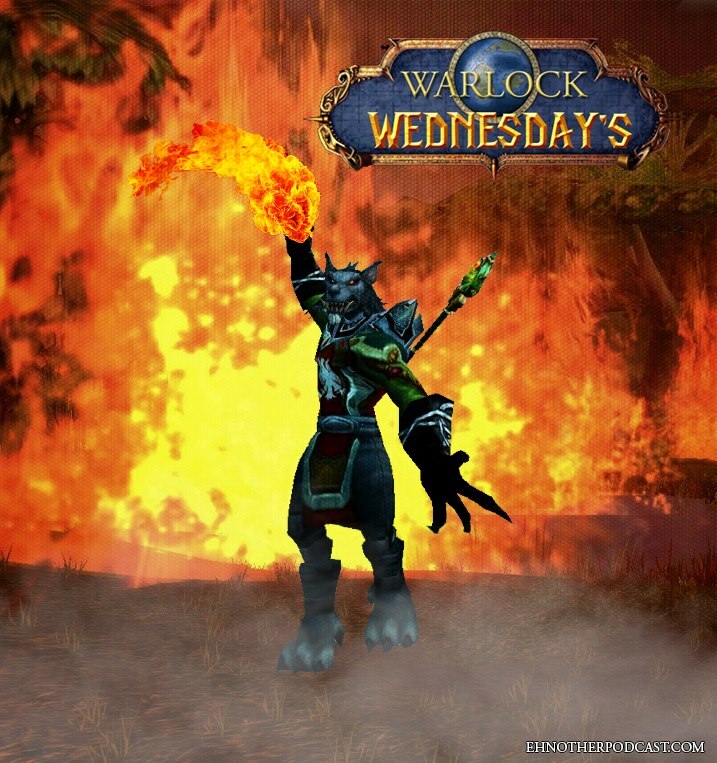 Ehnother week of the Warlock Hour is ready for you. The Extinction of the Transformers were much exaggerated. The box office tells a different story for the machines that are more than meets the eye. New releases coming out this week are lack lustre in my opinion and I expect the #1 movie this week, to remain the same. As we move into the entertainment news, an update on a report from last week, an announcement of a release date for Pacific Rim 2, directing news, script news and cast additions to movies in the works. A beloved television show once again finds new life in the online world of on demand entertainment… but this one is not on Netflix. Rumours that could leave some hearts broken as to the future of Green Arrow on the big screen, as well as Hukl solo film news that also breaks the heart. NFL news about two players… one who may not make it to the season and one who is looking for a fresh start in a new city. Also, pre-season power rankings for NFL Quarterbacks and Tight Ends. NHL Free Agency has gotten under way and I give you a list of a few of signed players and available free agents. MLB statistics and standings as well the results of the WWE Money in the Bank Pay Per View. Also give you a semi WWE Raw update. Hope you enjoy the show and come back for more next week! This entry was posted in Warlock Wednesdays and tagged 100th Anniversary Special Fantastic Four #1, 22 Jump Street, Action Comics #33, Adam Rose, AJ Lee, Alex Ross, Alison Brie, arrow, awesome, Ayatollah of Rock and Rolla, Baltimore Ravens, baseball, Bash Bros., Batman '66 Meets the Green Hornet #2, Batman Superman #12, Batman v Superman, Benjamin Bratt, Black Bat #12, bond 24, BOOM! Studios, Box Office Reports, Brian Bradley, Buffalo Bills, Captain America #22, Chris Hemsworth, Chris Jericho, comics, Community, Criminal Minds, cw, Dallas Cowboys, Dan Aykroyd, Dan harmon, Danny Pudi, Daredevil, DC Comics, DC Entertainment, Deadpool vs. X-Force #1, Deliver Us From Evil, Devon Aoki, Disney, Diva's Champion, Dynamite Entertainment, Earth to Echo, Edgar Ramirez, Elden Henson, Ella Linnea Wahlestedt, entertainment, entertainment news, Eon, Eric Bana, Fandango, Foggy Nelson, Football, Frank Darabont, free agency, Fulton Reed, Gary Cole, Gillian Jacobs, Goldust, Green Arrow #33, Green Lantern #33, Guillermo Del Toro, hockey, How to Train Your Dragon 2, Hunger Games, Image Comics, Jennifer Love Hewitt, Jim Rash, Joe Macdonald Youth Football, Joel McHale, John Cena, John Logan, Katana, Kathy Bates, Ken Jeong, Kevin Smith, Kiko Alonso, Layla, Legendary Pictures, maleficent, mark ruffalo, Marvel, Marvel Studios, Melissa McCarthy, mighty ducks, MLB, Money in the Bank, Money in the Bank Pay-Per-View, Movies, Mr. Money in the Bank, Neal Purvis, Netflix, New Vampirella #2, NFL, NFL Pre-Season Power Rankings, NHL, NHL Free Agency, NHL Free Agents, Olivia Munn, opinion, Pacific Rim 2, Paige, personal views, planet hulk, Poor Man's E.T., Power Rankings, Predator, Predator Sequel, Ralph Garman, RAW is Jericho, Reese Hartwig, Ride Along 2, Robert Wade, Robocop #1, Rocket Raccoon #1, Rolando McClain, Rusev, sam mendes, Scoot McNairy, Seth Rollins, Shane Black, signings, Six Million Dollar Man Season 6 #4, Snow White and the Huntsman 2, Sony Pictures, sports, standings, Stardust, statistics, Sudbury Spartans Football, Susan Sarandon, tammy, Teo Halm, The Flash, The Miz, The Usos, Think Like a Man Too, Thor: God of Thunder #24, Top Quaterbacks, Top Tight Ends, Transformers: Age of Extinction, Twilight Zone #6, Ty Templeton, Warner Bros., Witchblade #176, World Wrestling Entertainment, Worlds's Finest, WWE, WWE Raw, WWE Tag Team Champions, Y2J, Yahoo Screen, Yvette Nicole Brown. Bookmark the permalink.